NJ sports betting is growing by the minute. 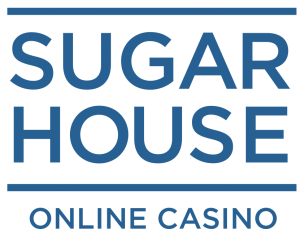 To illustrate, recently SugarHouse Sportsbook and Casino said its sports betting revenue for September was double that of August. And many expect the September sports betting revenue to be huge. But there is one threat that may stunt the growth of the nascent sports betting market: the lack of quick-and-easy deposit and withdrawal methods. Avid New Jersey sports bettors most likely have their preferred deposit and withdrawal methods all figured out. But what about new and recreational sports bettors? If getting money on and off an NJ online sportsbook is too much of hassle, it is possible they will forgo it altogether. It is the new sports bettor that will be at the center of industry growth. It is also the type of bettor New Jersey sportsbooks find themselves fighting over. Why is depositing and withdrawing so tricky? The difficulty that comes with depositing and withdrawing is certainly not the NJ gambling site or sportsbook’s doing. It is in their interest to get customers online and betting as fast as possible. It all began back in 2006. The federal government passed the Unlawful Internet Gambling Enforcement Act (UIGEA). Simply put, the law made it illegal for credit card companies to process “illegal” gambling charges without clearly defining what “illegal” was. As a result, most major credit card companies chose to err on the side of caution. They decline most, if not all, gambling-related charges, even those that are legal. Since then, depositing and withdrawing options became limited and time to process transactions increased. According to Legal Sports Report, credit card decline rates were above 75 percent when NJ online casinos first launched. Now, five years later, the declines rates, while better, are still around the 50 percent mark. 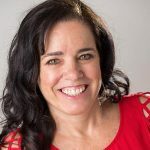 The industry must use other types of depositing options such as eChecks, PayPal, and the cage if the online sportsbook has a retail location. According to Eilers and Krejcik, most deposits occur via eCheck or prepaid cards. PayPal and other electronic wallets make up only five percent of all deposits. EChecks typically take 24 to 48 hours to clear and be credited to an online account. That is a problem for someone who wants to place their first sports bet on their favorite team later in the afternoon. What is the fix for deposit issues? As the US sports betting market continues to grow, it will be more difficult for credit card companies to ignore the revenue potential of the newly legal market. Just like DraftKings Sportsbook being first to the NJ sports betting market was a huge advantage, the payment processor that gets this figured out first will set a new standard for the industry. It may take NJ online casinos and online sportsbooks to invest in their own payment processes. That is exactly what 888 Casino is doing. 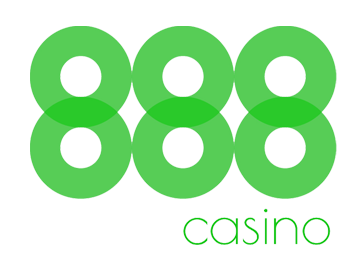 The company recently launched its mobile sportsbook, 888 Sport, in New Jersey. Russell Medley, 888’s director of fraud and risk management, talked about the need for speed. What is an NJ sports betting patron to do? For now, it is up to the customer to find out precisely what deposit and withdrawal options their preferred casino and sportsbook offer. The best way is to read NJ online gambling reviews of the different sports betting sites and become educated on the process. It can help make an informed choice that supports a person’s specific goals.